Remember when the advertising strategy of choice used to be the “one size fits all” approach? There were only a handful of TV channels and newspapers to choose from so everyone saw the same ads regardless of their interests. Fortunately for advertisers — and customers — advertising has evolved to be able to show audiences exactly what they need. In fact, online advertising has emerged as the most pervasive form of advertising, especially because it allows for more refined targeting. Now audiences see ads they can relate to. But these improvements mean that there are more ads competing for customers’ attention. Advertisers have to find new ways to use targeting to stand out or risk having their ads buried amongst others in their market. This is why native advertising is so beneficial. By partnering with native advertising platforms you reach audiences far beyond social media and your email list — you reach people in the places they spend the most time — like websites and blogs that they visit daily. But how do you know which networks to use for the best targeting? Keep reading to find out. Native ads are paid advertising that looks a lot like content you see on the web. They don’t look like obvious banner or display ads, so people are more likely to click on them. Think about it. People are exposed to between 4,000 to 10,000 ads a day! Because audiences are constantly bombarded with ads, it’s getting easier to tune them out and scroll right past them without a second thought. Audiences only focus on content that serves an immediate need or speaks to an interest. Seeing an ad for local real estate agents is more appealing to someone looking to buy their first home than ads about the latest Subaru Forester SUV. But before we get into how to use native ads to target customers, let’s look at the different types of native ads available to you. These ads show up as branded content next to other content on the site. 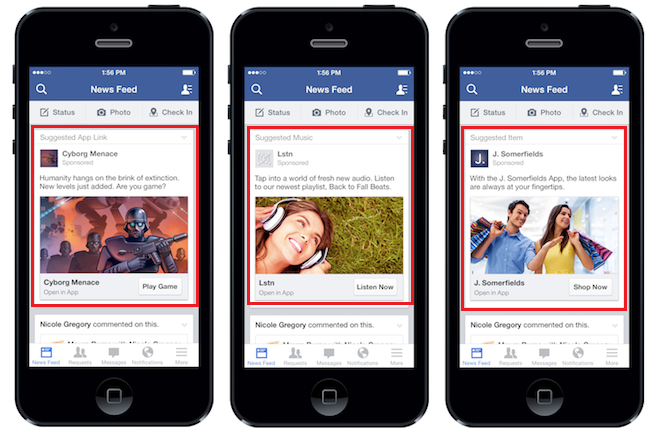 For example, in Facebook audiences might see a sponsored post for your product mixed in with their regular updates. Because the ad looks like the content around it and doesn’t take away from the user experience like a display or banner ad might, audiences are more likely to click. These ads show up on search engine results pages at the top. 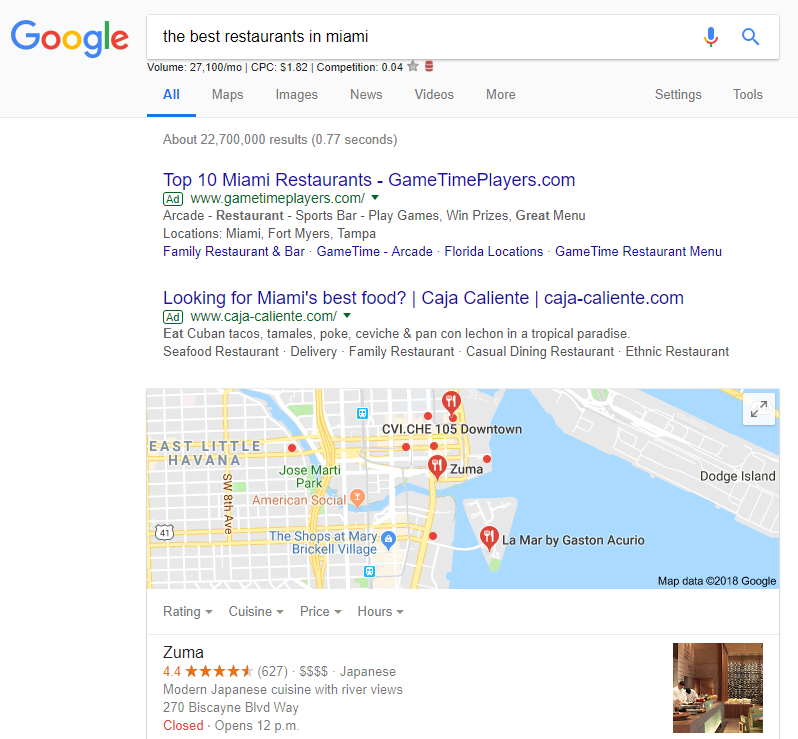 So if someone searches for “the best restaurants in Miami” in a search engine, the first few results on the list with the word “ad” next to them are paid searches. With this ad type — also known as pay-per-click or PPC — you only pay when people click on the ad. Companies that pay more appear at the top of the ad list. This means that their PPC is also higher since people a more likely to click on the first link they see. These ads appear as recommended content at the bottom of web pages and look similar to content already on the page. Content discovery networks, which we’ll go into more detail a little later, use behavioral data to help drive traffic back to advertisers’ sales pages. 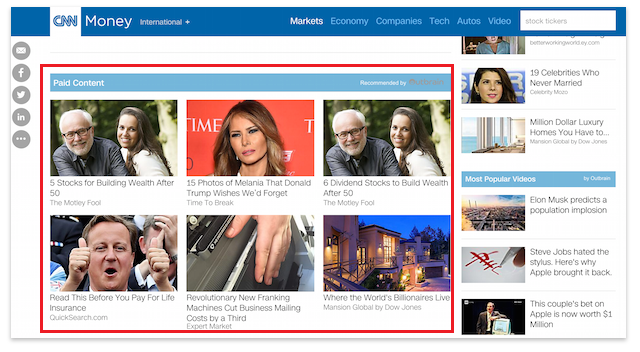 Using a content discovery network for your native advertising is an expensive option, but the main benefits are 1) higher click-through rates because ads are targeted and appear in front of engaged and interested people and 2) better recall in customers compared to other types of ads. Let’s look at examples. On the Fortune website, ads appear at the bottom of the page and appear as “sponsored stories.” What’s interesting is the mix of ads you see on a site like Fortune’s. This range is bound to capture the interest of readers. Or this one from CNN Money. These ads appear as “paid content” but again showcase a wide range of topics to get readers to click on them. 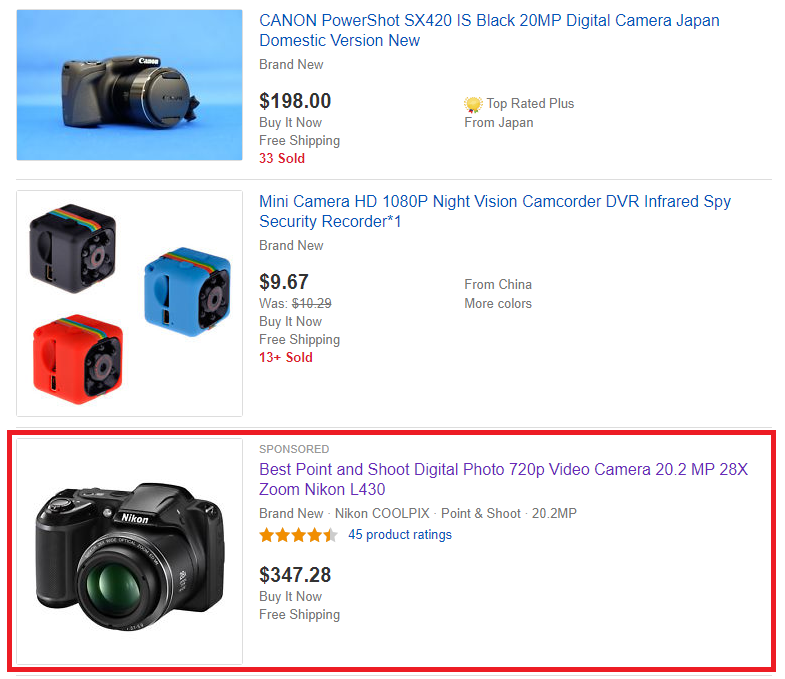 When browsing eCommerce sites like eBay and Amazon — for let’s say a camera — customers see promoted listings mixed in with the products they’re searching for. These ads say “sponsored” and other than that they look like any other product listing on the search results page. These ads are great because they get specific products in front of customers. This added exposure increases the chances of your products being seen because they stand out from everything else on the page. Now that you have an idea of the types of native ads available to you, let’s look at how to choose the right network to run these ads from. Remember, you want to be able to use publishers that relate to where your target audience spends time. Once you know what types of ads you want to run, you need a platform to help bridge the gap between you and publishers. This is where native advertising networks come in. The way it works is you partner with a network and, based on the publishers they work with, they make sure your ads appear on these sites. Which publishers do you want the ads to appear on? This is based on your audience. What targeting features are available? Also, can you retarget customers? What tracking and data analysis is available to help adjust and plan for future campaigns? You’ll need to experiment with a few different networks and test the results like click-through rates to find the right ones. Let’s say you have a meal tracking and weight loss app you want to advertise. Choose at least two networks that work with publishers that specialize in nutrition and physical fitness or sports — for example recipes.com or ESPN. This way you spread awareness of your product based on where your target audience is likely to spend time. If your audience is trying to lose weight, then they’re trying to eat right and spend time on recipe sites. Get your ad to stand out by highlighting the fact that you can help them plan healthy meals and lose weight. Don’t limit yourself to just one network either. At least in the beginning test out a few to see which networks lead to the most click-through rates and sales. Run comparative tests by posting the same ad in different formats on different publishers. Once you know which networks yield the best results, focus on two. These are the two you should invest the most money on but keep investing in the others to maximize your reach. In this example you can see that the advertiser uses multiple networks but invests over $9 million on Google and Yahoo Gemini. They also use the popular Outbrain platform to spread their reach. Now that you know what native advertising is and how to choose the right network, let’s look at which network platforms are available to you. We’ve found five of the most popular examples available. A lot of the native ads using the recommended content ad format use Outbrain. It’s a leader in the content discovery network realm. It’s a little harder to get started on Outbrain since they require that sites have at least 500,000 monthly viewers in order to use their services. One thing to keep in mind is if you’re approved to use their platform, you have to sign an exclusivity agreement. As a result you won’t be able to A/B test competitive widgets; you can only use theirs. Taboola is another native ad network powerhouse. This platform gives advertisers access to over 1 billion users across its different publishers. 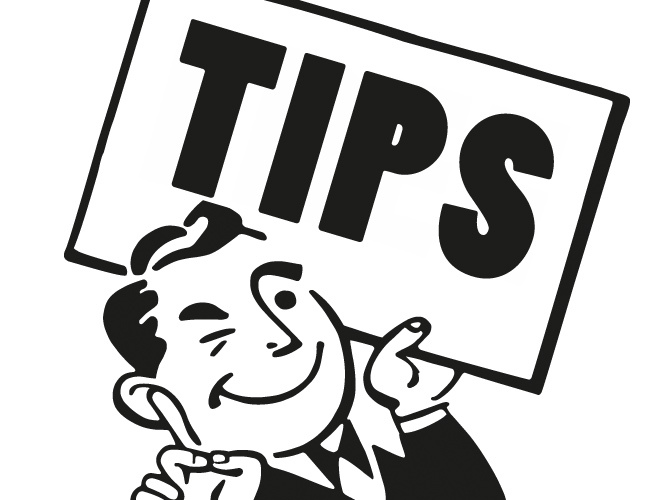 To do that advertisers can use ad formats such as in-feed and video ads. 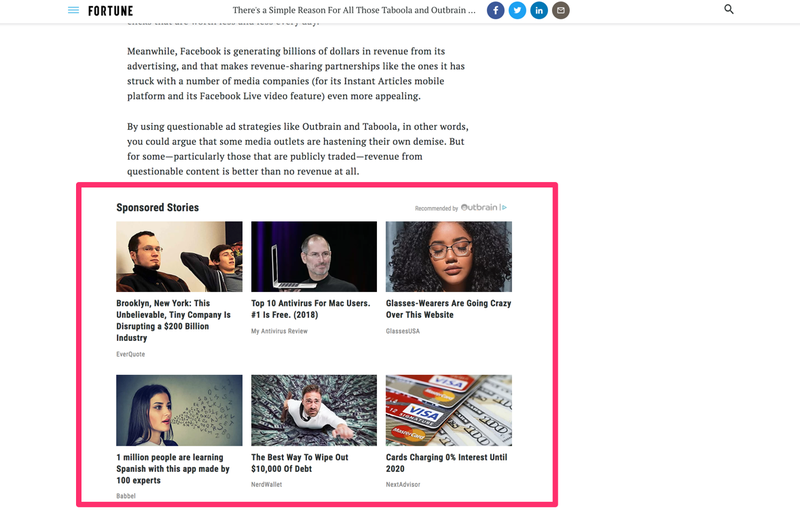 By advertising on these and other publishers’ sites you can even use Taboola’s lead generation feature to find your target audience and connect with them. Once you have their email address you have more opportunities to sell them on your product offers and the benefits. Plus there’s a range of campaign settings for you to choose from. 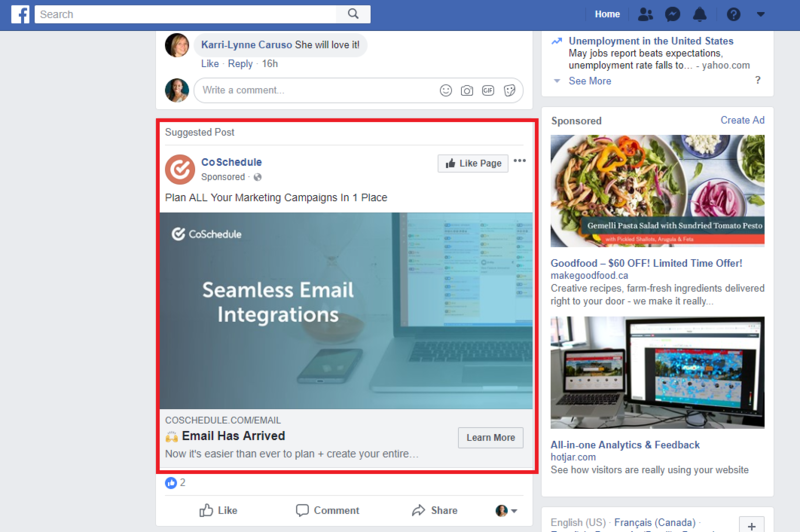 You can use campaign scheduling to specify when your ads will be seen, track your spending to stay on budget or decide how to allocate your traffic. You can let Taboola automatically optimize your ad so the right people see it or make sure that traffic is distributed evenly. The data Taboola collects makes it easy for you to target the right people within your audience. You can even use this data to retarget people who’ve shown interest in your brand but haven’t bought anything yet. Similar to Taboola and Outbrain, ZergNet offers your audience content recommendations that direct traffic back to your sites. It’s fairly new compared to its competitors but it manages to recommend over 1 billion articles per day. Unlike Outbrain and Taboola that work with more business and tech-related publishers, ZergNet focuses on publishers with influence in subjects that millennials might find culturally meaningful. This approach has worked because ZergNet has helped attract over 100 million visitors to publishers. All of this combined means ZergNet only promotes the most relevant content to audiences, which improves clicks and revenue for advertisers. With Google AdSense you can create native in-article and in-feed ads that look just like the content around them. Let’s say your audience scrolls through a news feed every morning. Your in-feed ads can appear here for a seamless user experience. Creating an ad with AdSense gives you two options. You can let Google automatically create one for you or you can manually do it yourself. Regardless of which option you choose, you can view reports to track your ad’s performance and audience engagement. 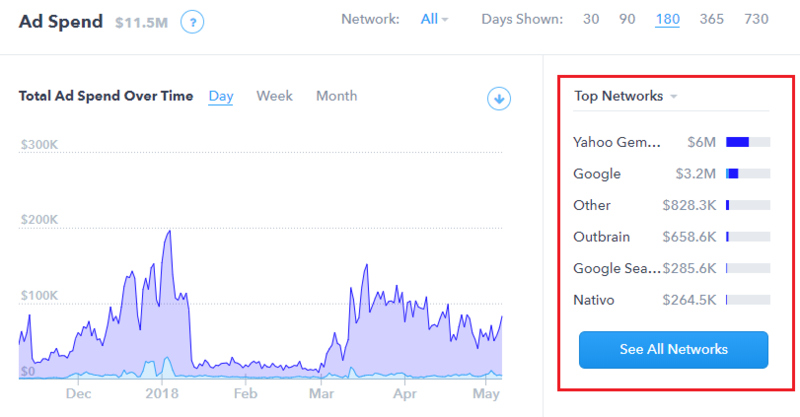 Not bad considering that with Yahoo Gemini there are over 2 billion impressions seen every day. 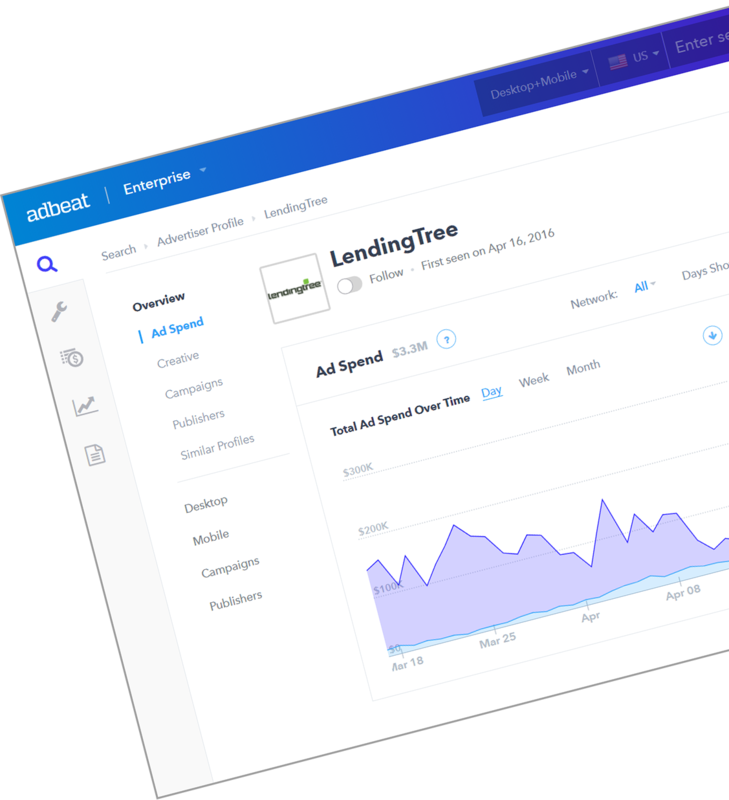 Plus if you use Google AdWords for budgeting and bidding, you can import that information into Yahoo Gemini to help you manage your campaigns better. There’s no need to switch between accounts to track your spending. The first step in getting the most out of your native ads is to know your audience. The answers to these questions will help you decide which native advertising networks to partner with. Each one has access to a slightly different audience, so use more than one. As you see results, adjust your campaign — for example, paid searches might work better for your audience because they’re more likely to find your product there than scrolling through their news feeds. The great thing about native advertising networks is that they allow you to be as targeted as you want and give you the flexibility to create custom ads that get noticed.